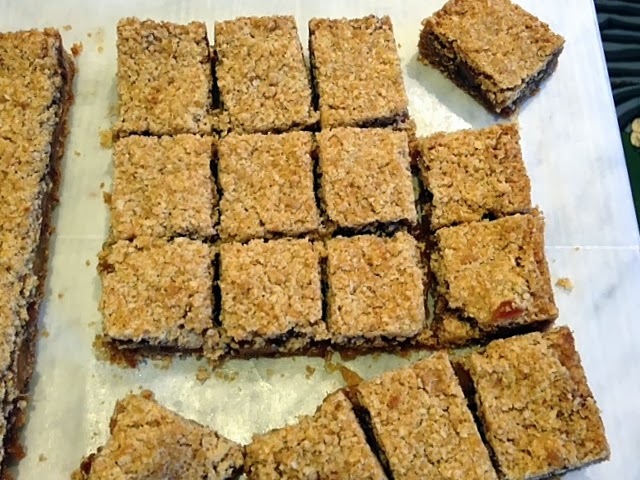 Date squares may seem an unusual choice for a birthday celebration, except these sweeties were made for my friend Stephen (who's pretty sweet himself) from a recipe in the collection of his late mother, Olive Facey. I have a feeling she made these a lot -- there were three cards bearing this identical recipe. 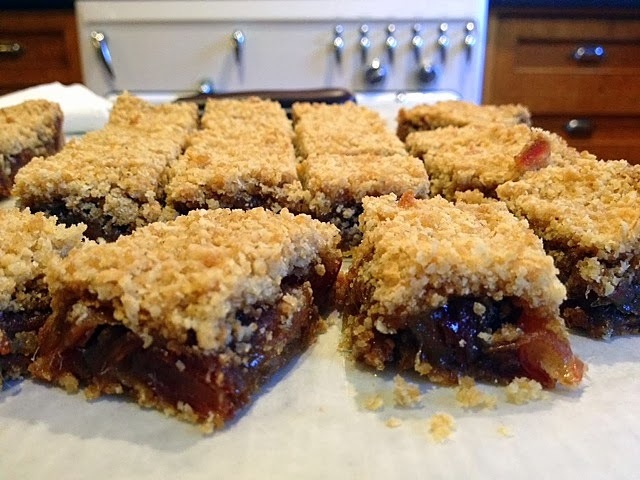 These date squares are technically a filled bar cookie. 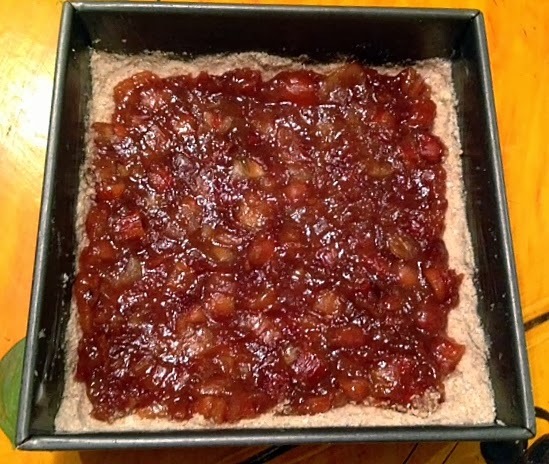 The date filling is sandwiched between the base and the topping, but since the topping and base are the same, it's simpler than it appears. As with many old handwritten recipes, one must know *something* about baking to follow them correctly. 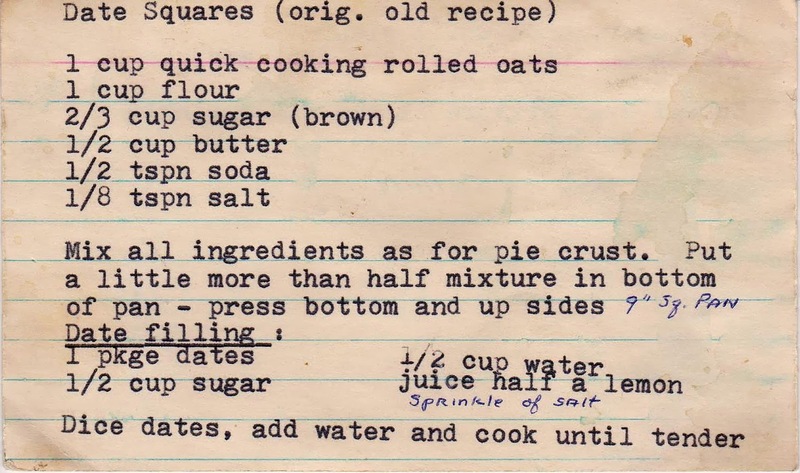 For example, to make the base, the card says: Mix all ingredients as for pie crust. This means that the cold butter is cut into the other ingredients (for cake, softened butter is blended with the sugar). You can use a pastry cutter, two knives or a food processor fitted with a steel blade. 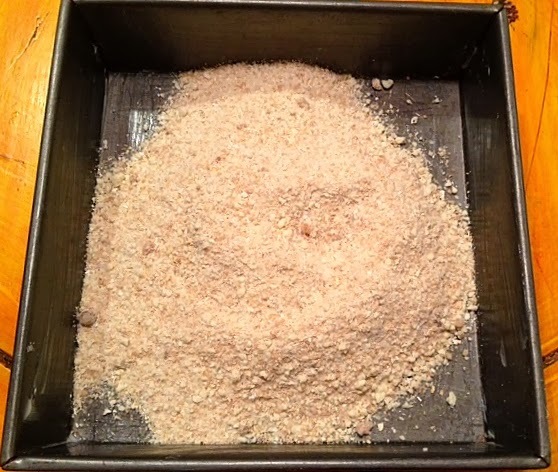 The end result is a crumb-like mixture. 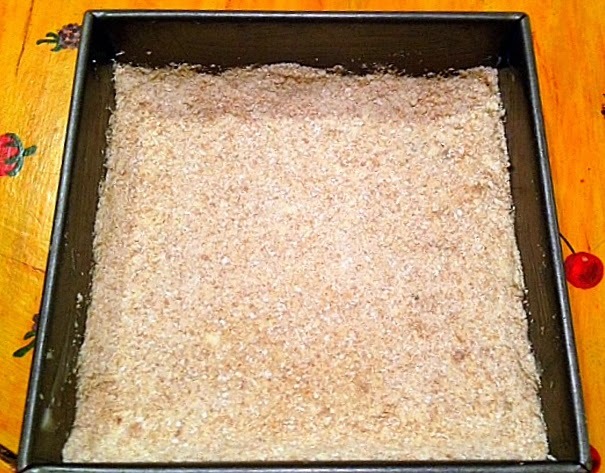 Put a little more than half into an 8 or 9-inch square pan, which you've greased with butter or Crisco. Press it into the pan. I used my non-latex gloved hands to do this. Next (or first, but separately in any event), prepare the date filling. 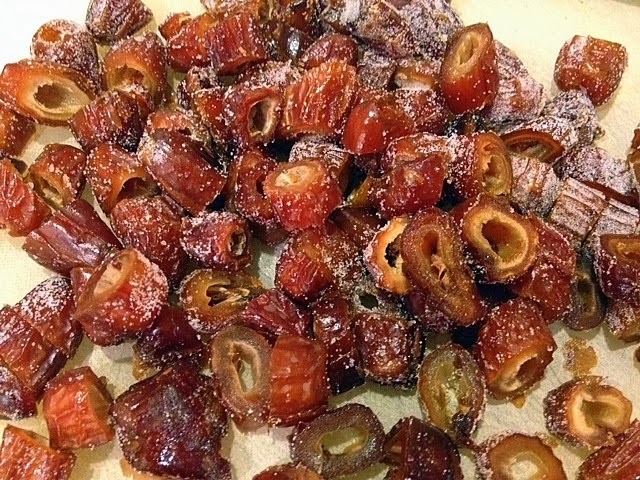 Chop the dates -- I put a little sugar on them to make them less sticky. Cook them with the sugar and water. Smooth it out carefully until it reaches the corners. An offset spatula or the back of a spoon is good for this task. 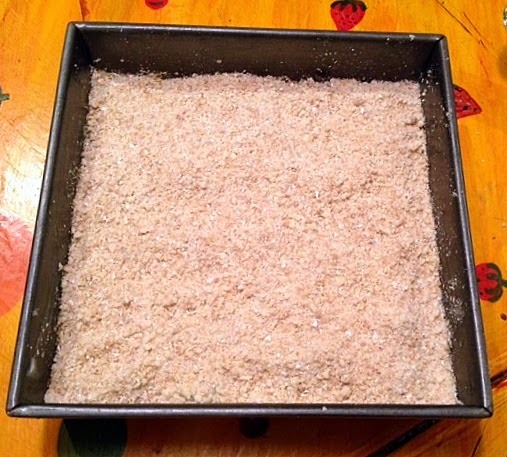 Sprinkle the remaining crumb mixture on top. Use it all, even though it seems like you have too much. Production notes: I followed the recipe exactly. For "1 pkge dates" I used eight ounces of pitted dates. 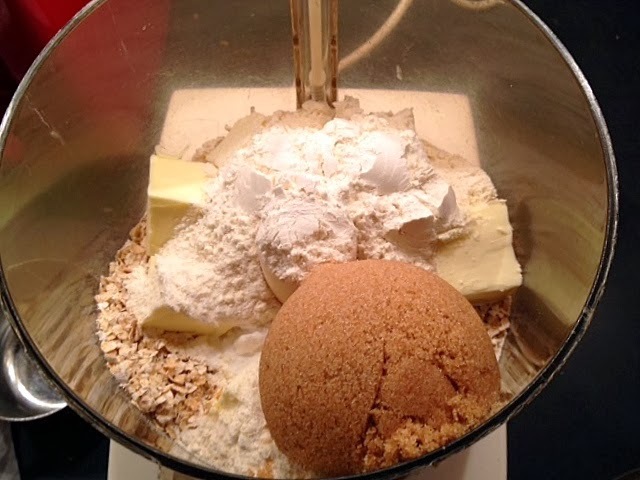 Mixing like a pie crust means to start with cold butter cut into cubes, and "cut" with two knives, a pastry blender or a food processor, into all the other ingredients until the mixture resembles small peas. For the date filling, mine never turned "clear" and it's very forgiving, so just cook the mixture until it's the consistency you want. 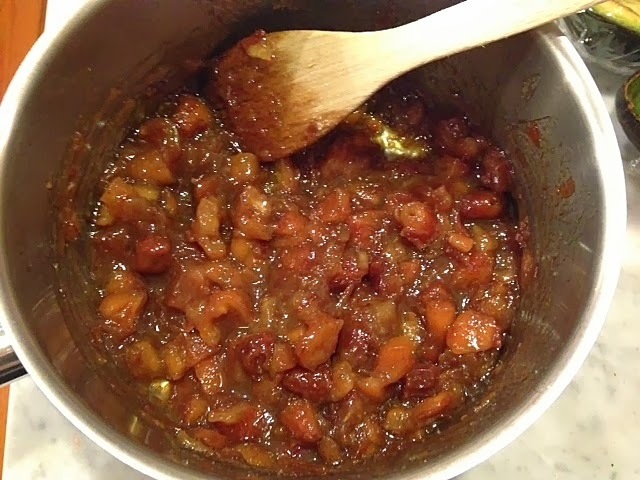 For the topping, simply spoon it on top until the date filling is no longer visible. I also used an 8-inch pan (don't own a 9-inch one), and it worked fine. Be sure to grease it well, or line the bottom and sides with parchment paper. YUM! These look divine. Thanks for sharing this recipe. I grew up eating these, and I miss them! And now you can make them yourself!! They are really easy. Hi Susan, I grew up in Saskatchewan, Canada and these bars were always called "Matrimonial Cake". They were at every funeral, Come and Go Tea, shower and bake sale in our rural area. The dates used to come in a hard brick and had to be soaked first. It's not my favourite but it does remind me of a time when fresh food wasn't readily available during the winter months and the ladies would make mountains of these bars as well as butter tarts. I think butter tarts are a Canadian thing, at least they were. Susan thanks for the memories of a simple rural life and family times. My pleasure, Merna, though I realize it's taken me quite a while to reply! Thanks for writing. Thanks, Alica. 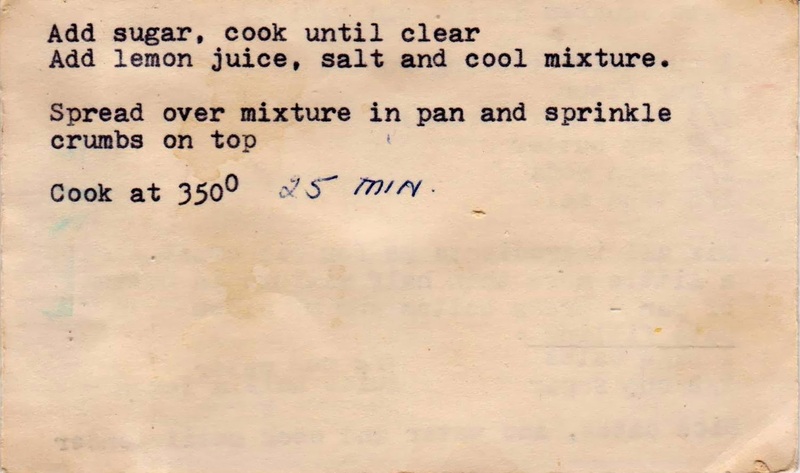 I do have a recipe for butter tarts from a hand-typed recipe from a Canadian military collection. 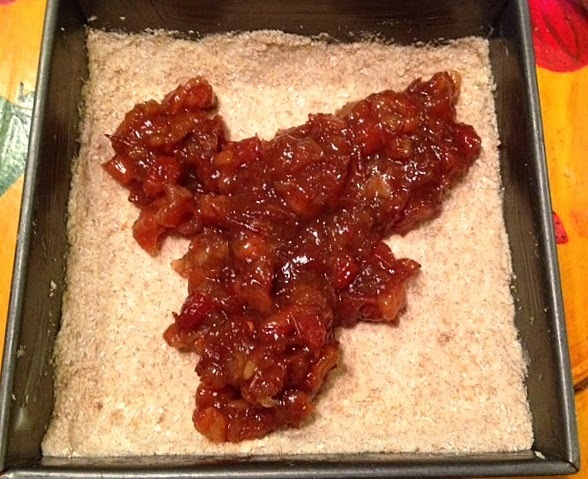 Once I figure out how to reduce the recipe to something manageable (I recall it serves a whole regiment! ), I'll give it a try.